I had the opportunity to ride perhaps the most famous Spanish marque of motorcycle recently when I booked up for a days trial riding. The bike I would be riding to my adventures for the day was a 2003 Gas Gas 250 Pampera. Not a full on enduro, or a pure trials bike the Pampera takes elements from both to create a sort of hybrid machine. 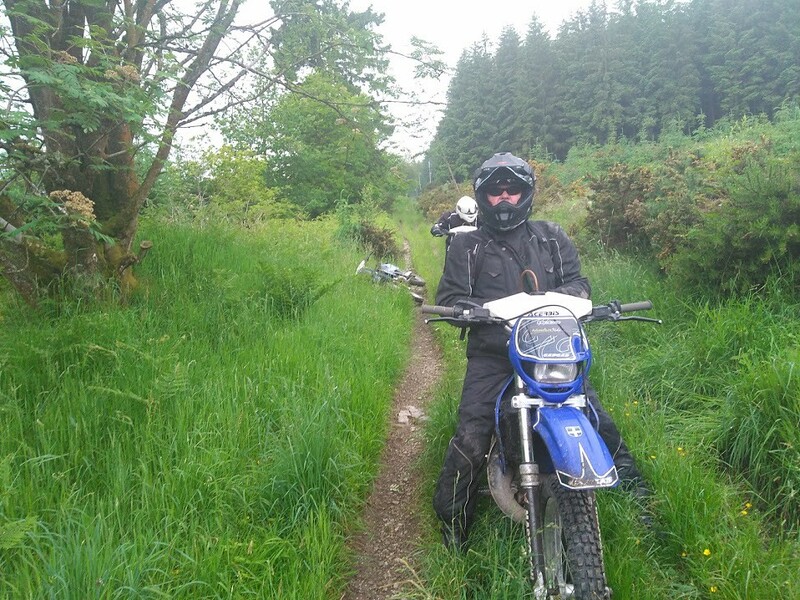 While the riding position and stance leans more to a trail bike the water-cooled 250cc 2 stroke engine is tuned more for trails type work. This basically means it is great for ham-fisted inexperienced riders...like me! It is incredibly light at 95kg, so if you need to move the bike to get get the best line or pick it up it can easily done. Over the day I rode the little Gas Gas I had to do both and really appreciated this svelte build on a couple of occasions. It was easy to shift line, pull out of ruts and when my talent run out and I fell off it was easy to pick back up and its robust nature meant no discernible damage either! I suspect that in the right hands the Pampera would still be a respectable off road bike in some types of competition: to quote the Adventure Ride website: "A Pampera is easily capable of being ridden to Gold medal standard in the Motor Cycling Club's long distance events such as the Edinburgh, Exeter or Edinburgh trials. In fact, when first introduced they were so effective at long distance trials they became commonly known as 'the cheat's bike' "
So if you are looking for a good general purpose trials bike that can be used when your become more experienced the Pampera could well be a good option for you...you just have to find somebody willing to sell you one! 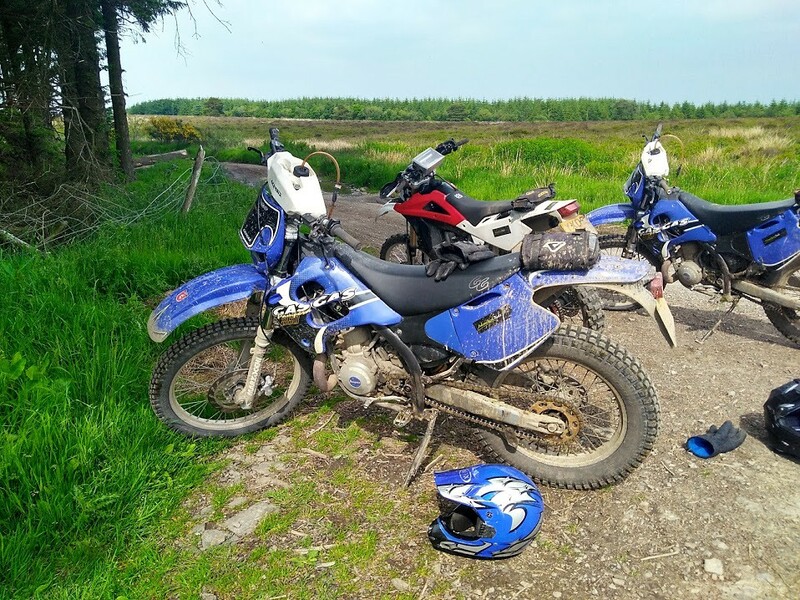 I am not good enough to be able to push the bikes or tyres hard off road, but you felt an experienced off road rider could of romped around on the Gas Gas irrespective of the tyres fitted! Did you see the review of the full day?